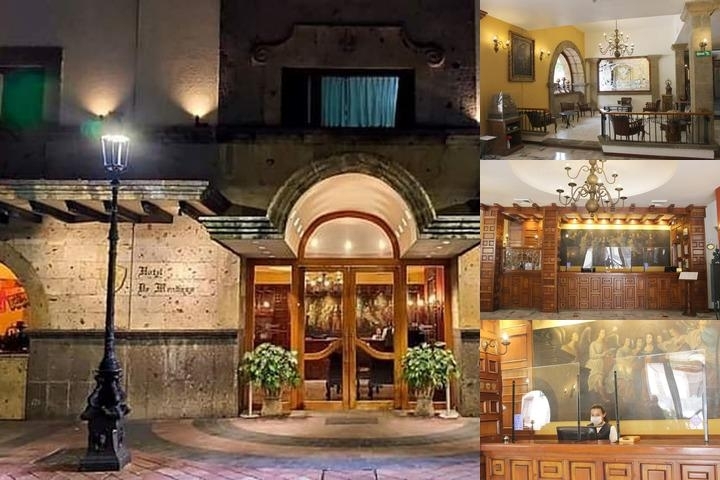 THE MENDOZA HOTEL IS LOCATED IN AN AREA THAT DATES BACK TO THE 16TH CENTURY, JUST WHERE THE CITY WAS FOUNDED. THIS HOTEL HAS BECOME A REFERENCE PLACE IN HISTORICAL DOWNTOWN. ENJOY A UNIQUE RELAXING EXPERIENCE IN OUR BEAUTIFUL COLONIAL ARCHITECTURE. THE MENDOZA HOTEL WAS BUILT WHERE THE OLD SANTO DOMINGO'S CONVENT WAS LOCATED, NEXT TO THE SANTA MARIA DE GRACIA CHURCH(1542)WICH WAS THE FIST METROPOLITAN CATHEDRAL. OUR QUIET ENVIRONMENT WILL PROVIDE YOU WITH A WELL DESERVED REST, AND KEEP YOU AWAY FROM ALL THE HUSTLE AND BUSTLE.STANDAR ROOMS: TWO TWIN BEDS, ONE QUEEN BED, TWO QUEEN BEDS. JUNIOR SUITES TWO QUEEN BEDS.WE HAVE FIVE MEETING ROOMS WITH CAPACITY FOR 8 TO 180 PEOPLE. 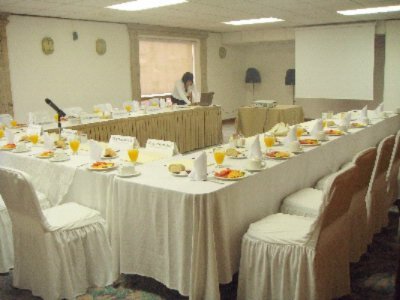 EVERYTHING IS READY SO THAT YOUR BUSINESS MEETING OR EVENTS ARE A SUCCESS. WE GRANT FACILITIES FOR EVENTS RANGING FROM WORKING GROUP MEETINGS, PRESS CONFERENCES, DINNERS, BANQUETS AND WEDDINGS.WE HAVE MEETING ROOMS WITH INDIVIDUAL LIGHTING AND AIR CONTITIONING. Outdoor pool, service from 8.00 to 20.00 hrs. The tipical cost is about 8.00 usd for american breakfast. 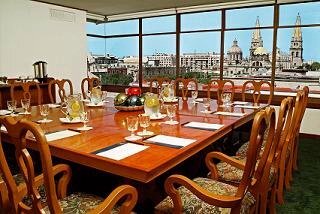 Below are the meeting, banquet, conference and event spaces at Hotel De Mendoza. Feel free to use the Hotel De Mendoza meeting space capacities chart below to help in your event planning. 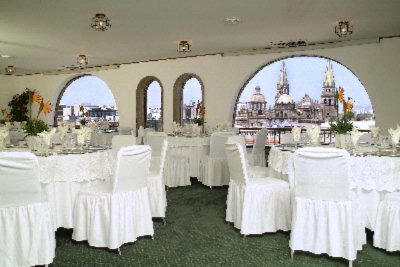 Hotel Planner specializes in Guadalajara event planning for sleeping rooms and meeting space for corporate events, weddings, parties, conventions, negotiated rates and trade shows. 44 x 32 x 11 Ft.
40 x 23 x 8 Ft.
36 x 23 x 7 Ft.
19 x 29 x 8 Ft.